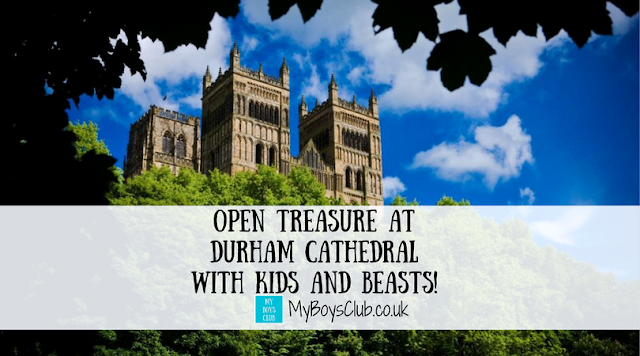 On a recent trip to Durham, we decided to take the boys to see a new exhibition at Durham Cathedral called Beasts! 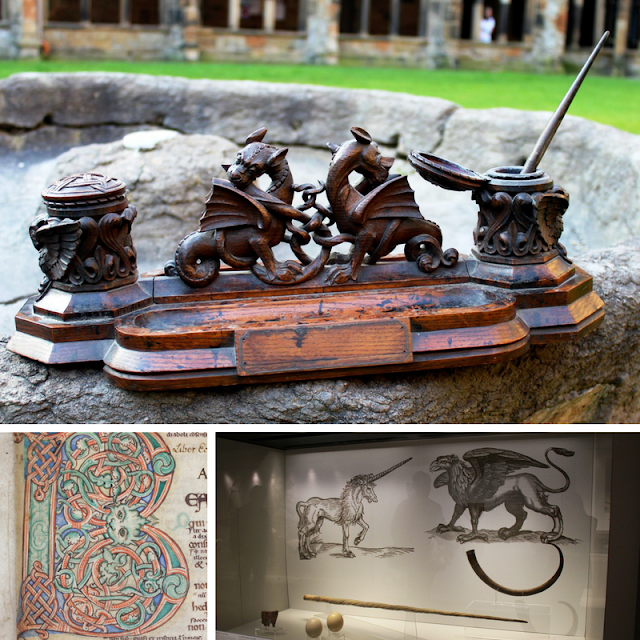 With a Harry Potter artefact, elephants tooth, griffin’s claw and yes a unicorn's horn, all on display, in Durham in the UNESCO World Heritage Site of Durham Cathedral and Castle, I thought Beasts would be right up their street. What I hadn't counted on, though, was just how interesting they would find, the whole of the Open Treasure exhibition. Beasts at Durham Cathedral, in the heart of Durham City, is a new temporary exhibition in The Collection's Gallery in Open Treasure, open until Saturday 10 June 2017. We were invited to visit during its opening week, and being half-term that was an invitation the boys didn’t want to turn down. 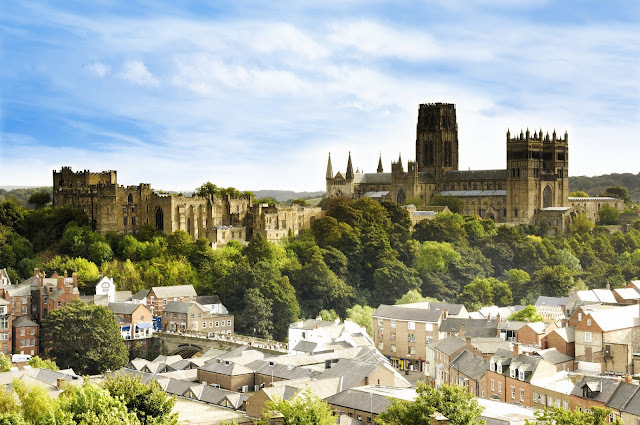 Durham is just 10 minutes from Newcastle by train, or a 25-minute drive with car parking in the city or Park and Ride buses very accessible too. The view of the city from the train station is amazing! Durham Cathedral has been a place of worship, welcome and hospitality for almost a millennium, inspiring all who come. Built in 1093 to house the Shrine of St Cuthbert, Durham Cathedral is renowned for its magnificent Romanesque architecture and spectacular location at the heart of the Durham World Heritage Site. It is also the resting place of the Venerable Bede. Highlights include the twelfth-century Galilee Chapel with its original medieval wall paintings, the towering sandstone pillars in the Nave, and the stunning Rose Window in the Chapel of the Nine Altars. The entrance to Beasts and Open Treasure is from the Cloisters, which you arrive at after walking through the Nave of the Cathedral. Beasts! tells the story of the weird and wonderful creatures that have fascinated people since the earliest times. Inside you'll find medieval manuscripts and early printed books, featuring an array of mythical creatures, alongside an inkwell from the first Harry Potter film. 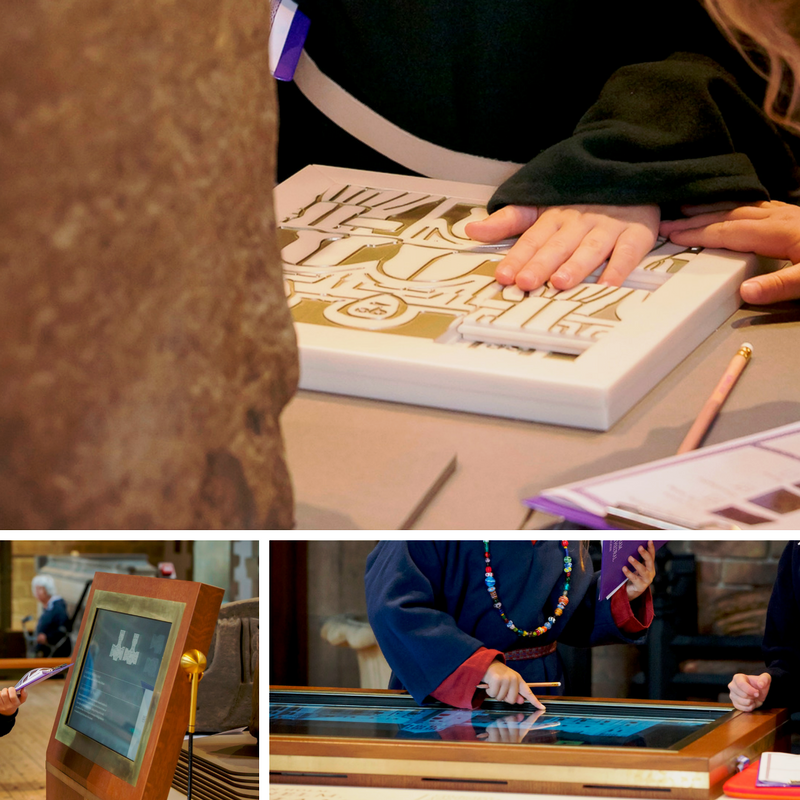 It draws on the cathedral's collection of early books and manuscripts which contain illustrations of creatures, and a 14th Century inventory which lists objects gifted to the shrine of St Cuthbert. The exhibition attempts to recreate part of the collection through a number of items, including a unicorn’s horn, griffin’s eggs and an elephant’s tooth, kindly loaned by Sunderland Museum & Winter Gardens. Visitors can also see what may have been one of the original griffin’s claws gifted to St Cuthbert, on loan from the British Museum. Weird and wonderful creatures have always fascinated people and captured imaginations, and my boys were no exception, but the Open Treasure exhibition itself really fired their imaginations too. Last year Durham Cathedral unveiled Open Treasure, which is a multi-million-pound development, that has transformed some of the Cathedral’s most historic spaces into a world-class exhibition, taking in the 14th Century Monks’ Dormitory and the medieval Great Kitchen, alongside purpose-built, state of the art gallery spaces. This is a permanent exhibition. Open Treasure tells the story of Christianity in the North of England, monastic life in Durham and the life of the Cathedral today, through the Cathedral’s magnificent collections and a rolling programme of exhibitions. Once in the exhibition you really do take a journey through time ... on display is the Cathedral's spectacular collection of Roman, Anglo-Saxon and Viking stones as well as a series of interactive exhibits for visitors of all ages. 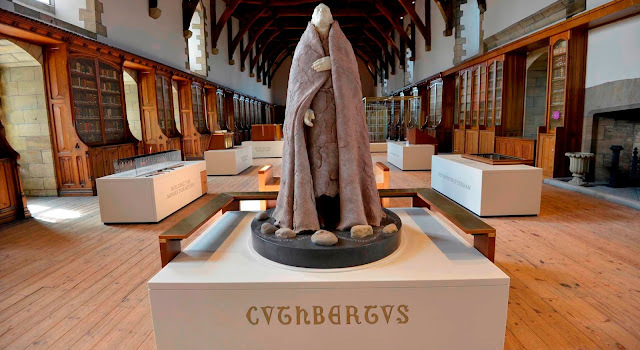 There are sights, sounds and smells that evoke life in a medieval monastery, bringing history to life in the magnificent setting of the fourteenth-century Monks' Dormitory where the monks of Durham Cathedral once slept. The exhibition itself is very interactive, engaging, educational and fun. 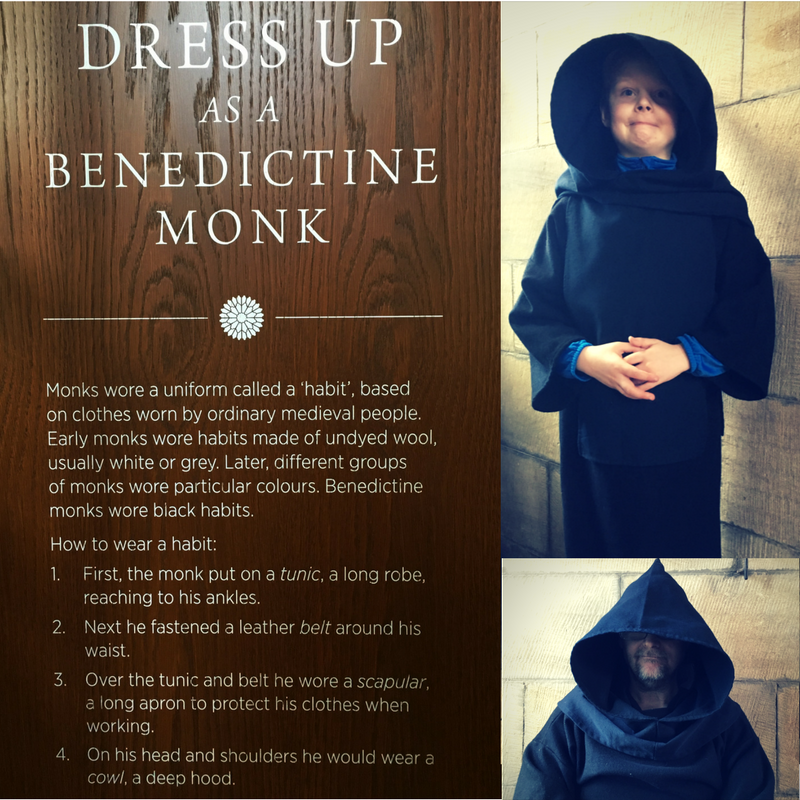 My boys loved it, from dressing up in Monks clothing (I'm including the hubby in that too) to trying to solve the puzzles, smelling the different aromas from the times, watching a timeline of how the cathedral developed and listening to choral music. At the end of the exhibition, we discovered we had luckily chosen to visit on a day when there were free Family Fun activities taking place. Inspired by the exhibition the boys created their own scary masks and drew their own beasts. Toddler backpacks are free to borrow. 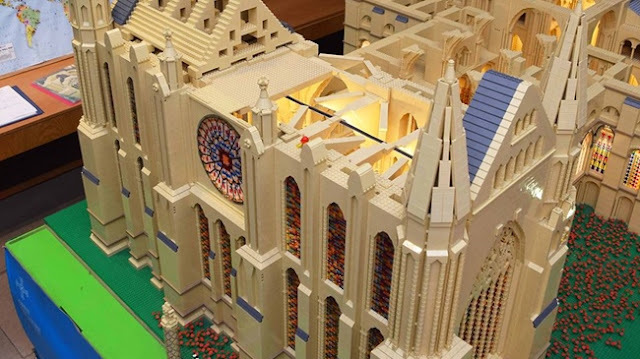 Fundraising for Open Treasure also involved building a replica of Durham Cathedral from LEGO. For every £1 donated, one LEGO brick was added to the model which now contains almost 300,000 bricks. The model is an accurate scale representation of the Cathedral, spanning 3.84m long, 1.53m wide and 1.7m high. It is currently on display in the Undercroft Foyer, near the Cathedral Shop and Undercroft Restaurant. Before we left the boys went tried to spot Harry Potter in the cloisters - it's 20 years this year since the first Harry Potter book was published, and the first two books were also filmed on location at Durham Cathedral - the boys recognised it straight away! It took at least two hours to take in Open Treasure, Beasts and the family fun activity. Then there is the rest of the Cathedral to see as well. Open Treasure is open Monday to Saturday from 10.00am-5.00pm (last admission 4.00pm), and Sundays from 12.30pm-5.00pm (last admission 4.00pm). Entrance to Durham Cathedral is free and tickets to Open Treasure and Beasts are priced at £2.50 for children aged 5 - 18, and £7.50 for adults - under 5's are free. Tickets are available from the Visitor Desk in the Cathedral, the Open Treasure Welcome Desk, and in advance online. An annual pass for Open Treasure is available for £15 for adults and £5 for children. Have you been to Durham Cathedral? Photography is not allowed within the Cathedral and Open Treasure Exhibition spaces. 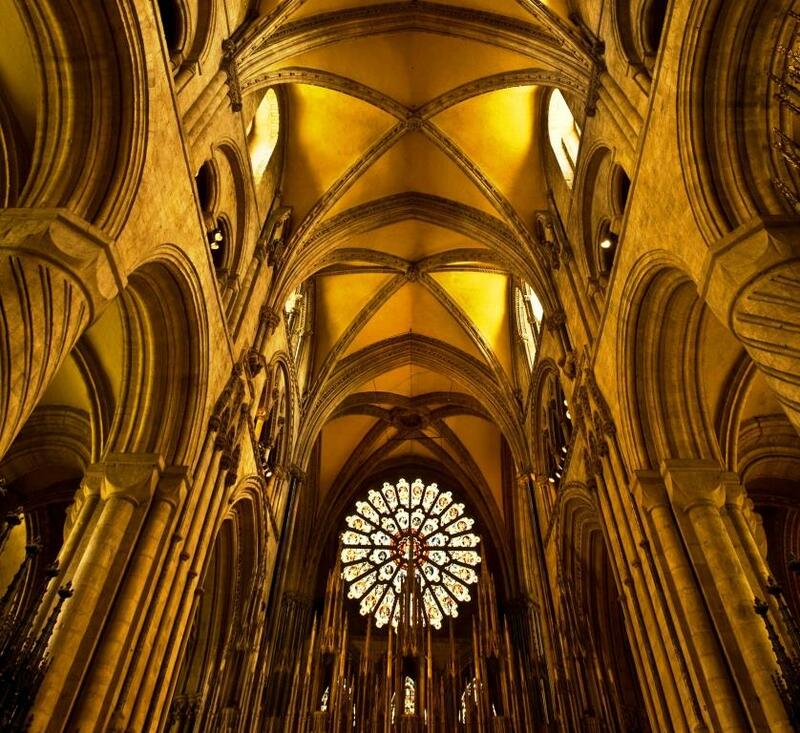 Therefore some photography has been supplied by Durham Cathedral and Visit County Durham. However, it is allowed in the Cloisters. Love durham cathedral and even though we aren't religious it's so peaceful and interesting. We went when the lego cathedral was being built last year. Girls loved it! OMG I am so excited to visit now that I know they have an actual Harry Potter artefact! Kids are going to love it. This looks like a fab place to visit! That really is an amazing view from the train and the cathedral sounds like a really interesting place to visit. This sounds really good, I'm definitely putting it on the list for things to do at Easter! What a great exhibition to go to! I love things like that and I'm not surprised they didn't want to leave! It's really well put together and thought out with lots of interactive stuff - we were really impressed. Oh my goodness your photos are stunning, what a beautiful place! It's such a shame we live so far away. We've never been here, but it looks great. Anywhere you can dress up in character usually goes down a treat! This sounds like a perfect day out! There's so much here to fascinate kids - my two would love the Harry Potter connection, as well as the Beasts (my son especially is a fan of weird and wonderful creatures). We'll have to visit when we're next up north. Thanks for joining in with #CulturedKids!